How can this be? Doesn’t everybody know that breakfast really is the most important meal of the day? 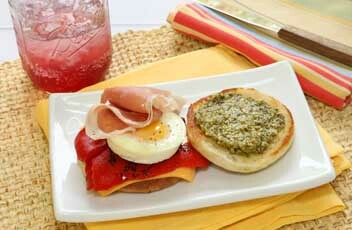 Hasn’t everybody heard the old saying “Breakfast like a King, Lunch like a Prince and Dine like a Pauper”? 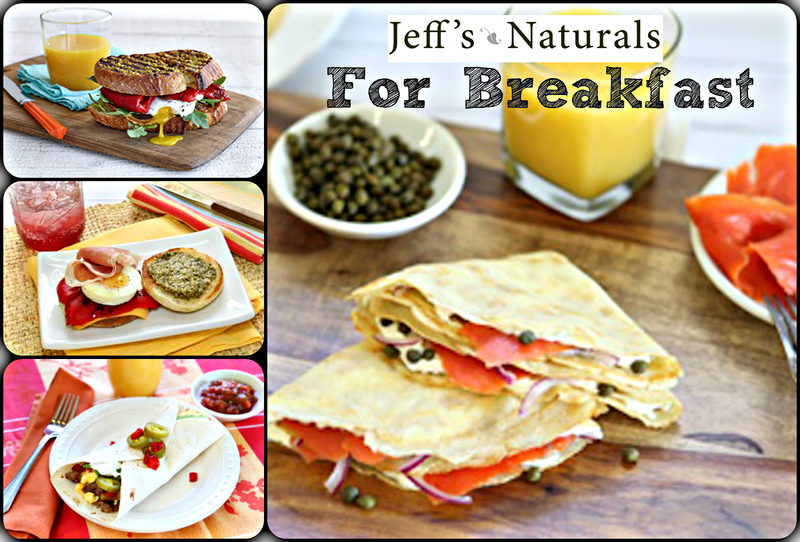 Therefore, in celebration of National Breakfast Month, let us please remind our readers to eat a healthy breakfast. Not only will you feel better, you’ll be more productive and your body will thank you. 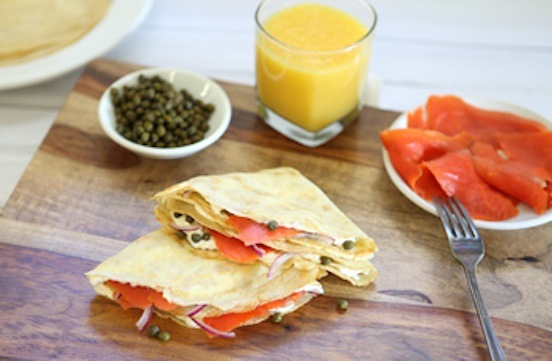 Here are some ideas we found to make your first meal of the best. For an out of this world scramble, add diced Sun-Ripened Dried Tomatoes or Roasted Bell Pepper Strips and grated Parmesan cheese to your morning eggs. Use Jeff’s Naturals™ Jalapeño Stuffed Olives & Peperoncini or Spicy Italian Olive Antipasto to spice up your favorite Bloody Mary (on the weekends of course)! 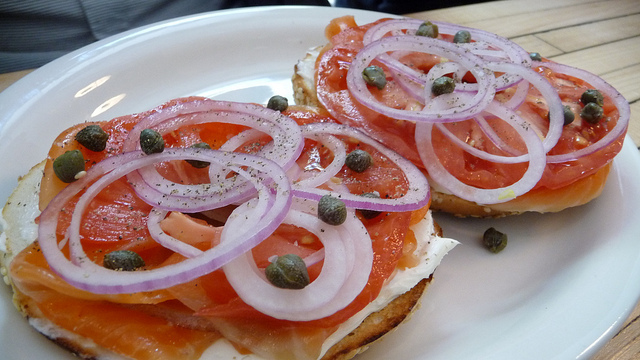 Bagels with lox and cream cheese are event better topped with sliced onions Capers & Roasted Bell Pepper Strips. Crack eggs into a mixing bowl add milk, a pinch of salt and fresh cracked black pepper and whisk. In a large sauté pan on medium high heat, add just enough oil to coat the bottom of the pan. Add hash browns and fry for about 5 minutes until slightly golden in color. Add breakfast sausage into the pan, break up with a wooden spoon and cook another 7 minutes or until sausage is done. Add egg mixture and chopped roasted red peppers and stir occasionally, lower heat to medium while cooking the eggs for about 6 minutes or until eggs are done. Turn heat off, sprinkle cheese on top to melt. 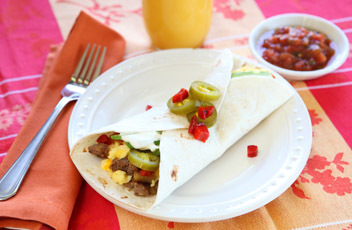 Assemble the burritos with the egg and hash brown mixture, top with your desired toppings and add the jalapeño peppers for some heat and crunch.